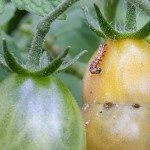 I am troubled with plant pests on my plants. Please advise what is the pest and how to eradicate it. I have started to spray white clear oil a couple of times last week...does it help? How long should I spray before I can see the results. Thank you. Looks to be Aphid damage on the leaves. They can be difficult to control, so don't give up!